Colourways offers a selection of tiebacks, pelmets, voiles & cushions to accompany your curtains. Choose from a range of patterns and styles to create a personalised, homely feel to your home. 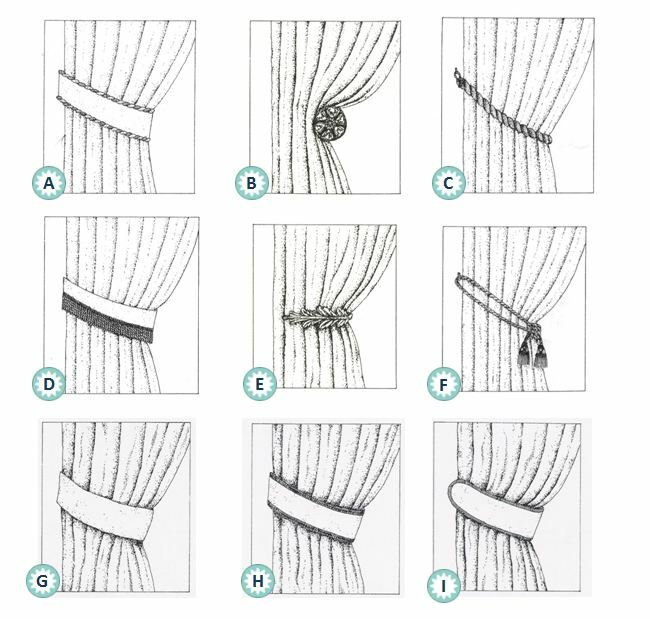 Our broad range of tie back patterns can accompany our pencil pleat and tab top curtains adding extra class to any room. Pelmets are a great way to add a finishing touch to any room. Choose any of our decorative, stylish designs to create. Update your room in an instant with contemporary cushions; choose from Colourways range of patterns to ensure your cushions match your curtains. Colourways cushions come in a variety of shapes and sizes. To add an extra touch of style to your cushions contact our friendly staff to discuss and request samples of our contrasting and coordinating trimmings. 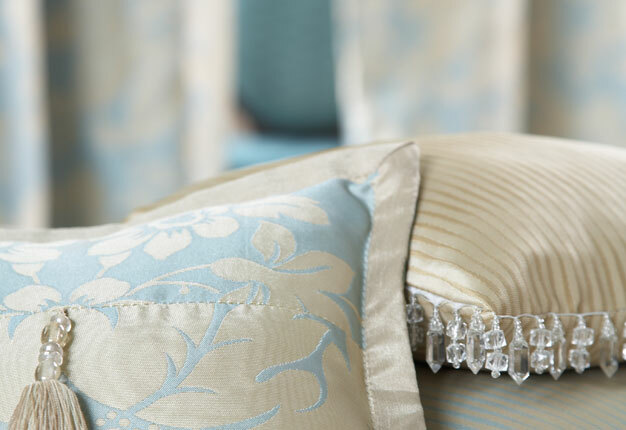 When requesting a quote via the Wish List please state whether you require any tiebacks, pelmets, cushions or voiles. Alternatively contact one of our friendly, approachable staff to discuss our range of tiebacks, pelmets, cushions and voiles.